This gourmet tea blend actually has quite a regal history to it. Legend has it, that the tea was presented to the Prime Minister, Charles Grey, back in the 1830s and was so well received that it was then named after him and became very popular. A traditional Earl Grey is a black tea flavoured with bergamot orange oil, giving it a refreshing, citrus taste that is the perfect drink for an early morning start. It tastes amazing with a squeeze of lemon, but it can also be enjoyed with milk and sugar, if that is your preference. 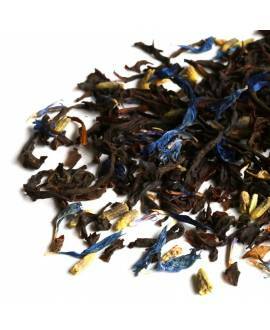 Enjoy a cup of our traditional Royal Earl Grey, or why not have a taste of one of our Earl Grey variants? 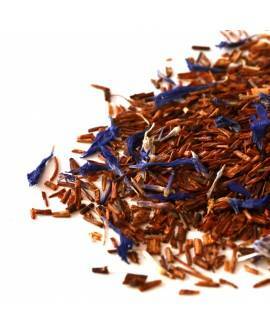 Cream of Earl Grey is a much smoother, indulgent drink, while Earl Grey Lavender is brighter with a sweet, floral tone. Try for yourself! 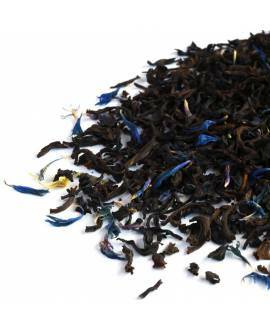 Our Earl Grey black loose leaf teas are all currently blended with black tea leaves, which have been hand-picked, withered and rolled to ensure perfect oxidisation. The finest leaves are selected before being blended with the highest quality bergamot oil, to create a traditional blend that is fit for an Earl! This premium tea doesn’t just taste great – it is also really good for your health! With the ability to reduce stress and boost energy levels at the same time, it can really help to kick-start your day or re-motivate you after lunch! It can even help reduce bloating after your meal, since it helps keep the digestive system working as it should. It has a high antioxidant profile, being particularly rich in catechins, making it a tea that will improve gum health. Think of yourself as a strong leader, or just a follower of fashion? Have a cup of earl grey! All our Earl Grey teas are carefully packed into sealed bags of 50g or 100g to preserve freshness, quality, and therefore the health benefits of our loose teas. You can order a tea sample of 5g (option not available for all teas) or choose between quantities of 25g, 50g, 100g or 250g. The higher the quantity, the bigger the discount you will receive for your loose leaf tea purchase. This is because the packaging cost is very high, so the larger the quantity of tea you buy, the more money you will save on packaging.